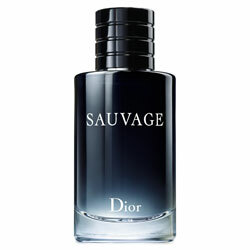 Sauvage by Dior - The aromatic fragrance for men. 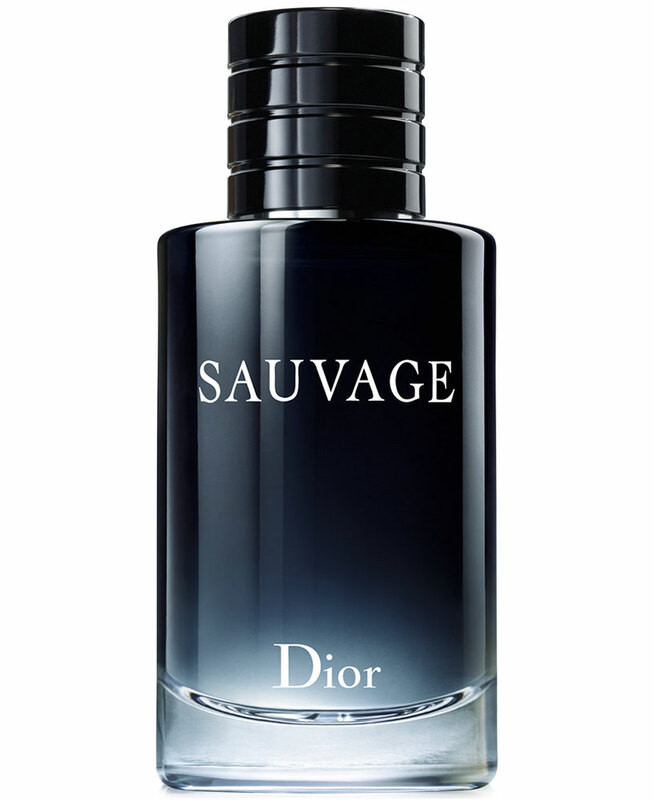 A reinvented verion of the original 1966 Eau Sauvage. Perfumer Francois Demachy creates a fresh raw masculine scent with notes of bergamot, pepper and ambroxan. 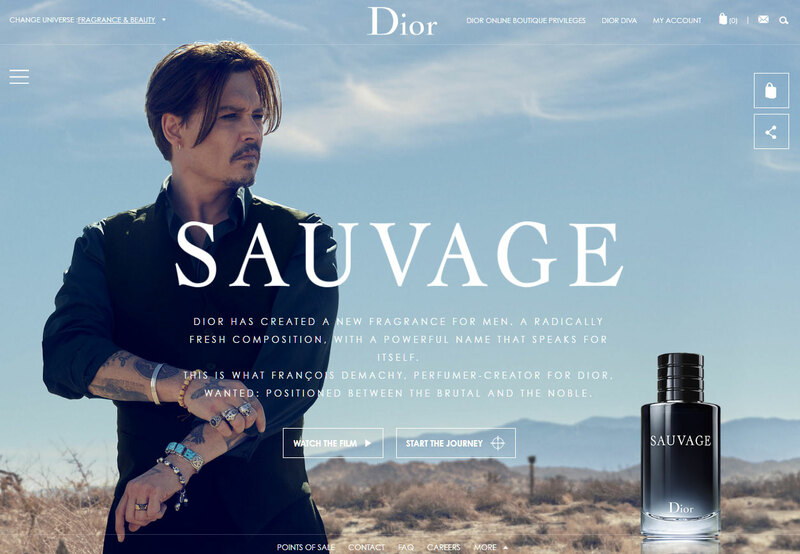 The advertising campaign features actor Johnny Depp directed by Jean-Baptiste Mondino. Available in an eau de toilette spray and matching body products. Package Design Cylinder bottle with dark blue fade, and La Collection Privee cap. 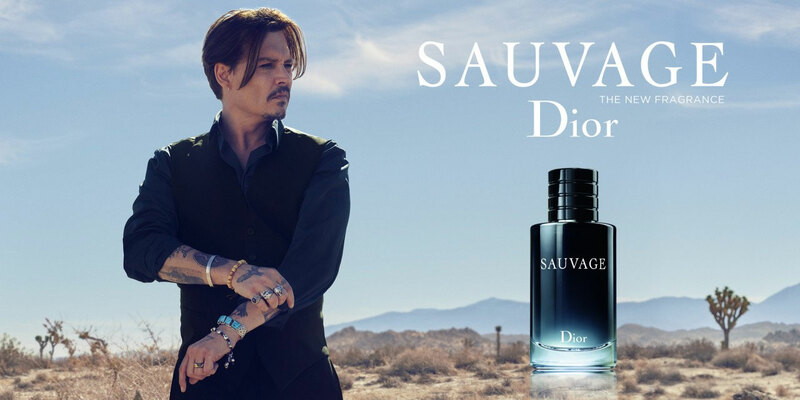 "A radically fresh composition, with a powerful name that speaks for itself.That was the way Francois Demachy, Dior Perfumer-Creator, wanted it: raw and noble all at once. Natural ingredients, selected with extreme care, prevail in excessive doses. Radiant top notes burst with the juicy freshness of Reggio di Calabria Bergamot. Ambroxan, derived from precious ambergris, unleashes a powerfully woody trail. 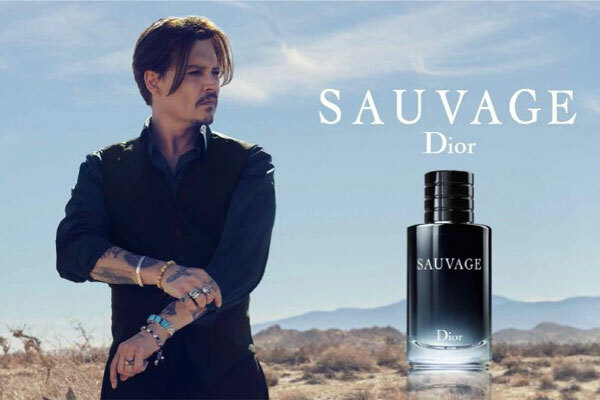 Sauvage is an act of creation inspired by wide-open spaces. An ozone blue sky sprawled above a rocky landscape, white-hot beneath the desert sun."